Share a laugh and a drink at home with friends thanks to the Sturdy Counter Stool by Moe's Home Collection. Constructed from premium iron and high quality MDF, this stool has a durable design for long-lasting strength and stability. The backless design and convenient footrest makes it easy to use right at the kitchen counter. 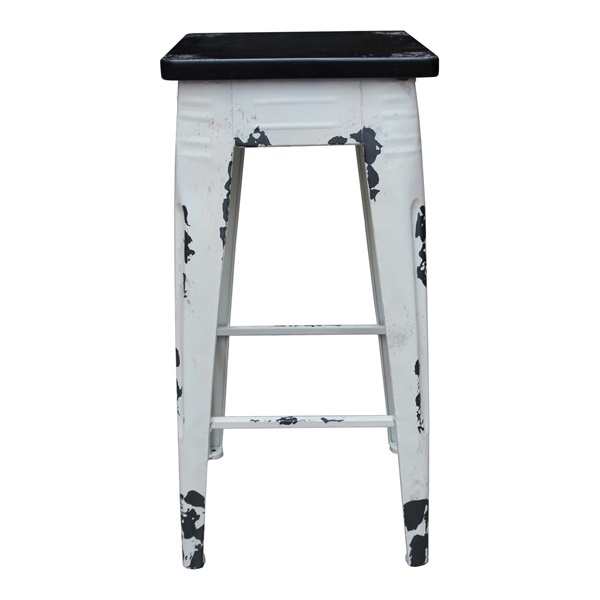 This lightweight stool has an ample seating area and worn, distressed details on the legs for an industrial look. The Sturdy Counter Stool by Moe's pairs perfectly with the Sturdy Bar Table.